Currently I am in charge of the worship team at our church, which means I make the rosters and check that everything’s running smoothly. 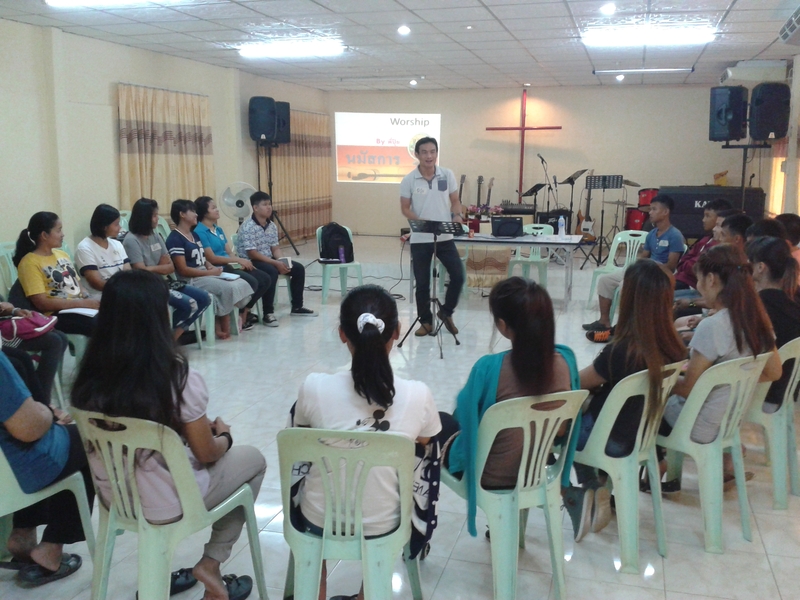 We have two sessions at our church; 8:30 am and 10:30 am on Sundays. Our pastors (also the boys house parents) really have a vision for discipleship and empowerment of young people in ministry. We decided to organise a day workshop and invite an experienced worship leader to come and run some teaching sessions for the members of our worship team. 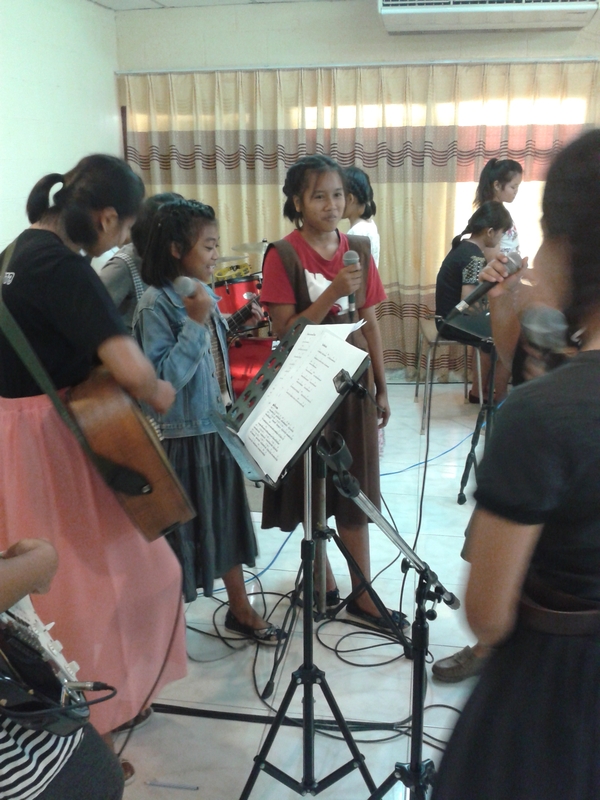 Many of our older kids from the boys and girls’ houses are in the worship team too. We were incredibly blessed! 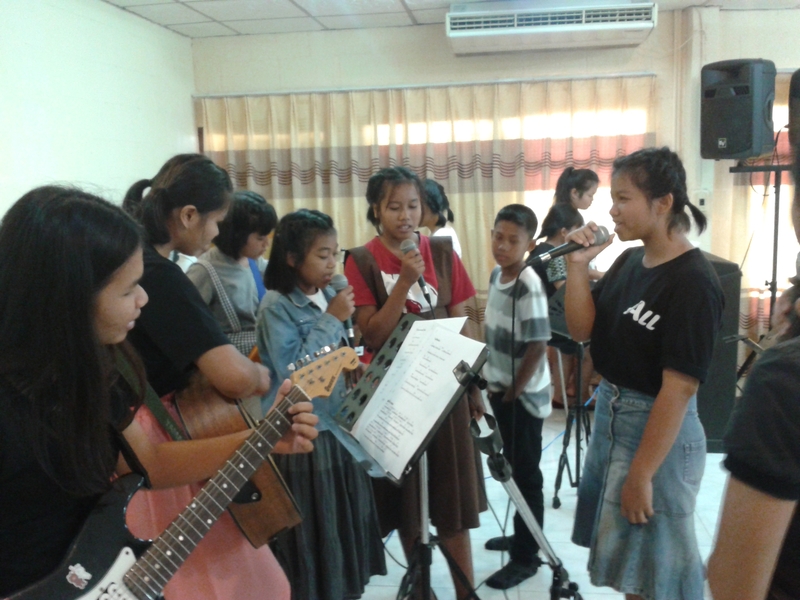 The man who came to teach in our workshop is one of Thailand’s top Christian songwriters! He is from a city quite close to us called Mahasarakham and he is famous amongst Thai Christians because the songs he wrote are very popular. 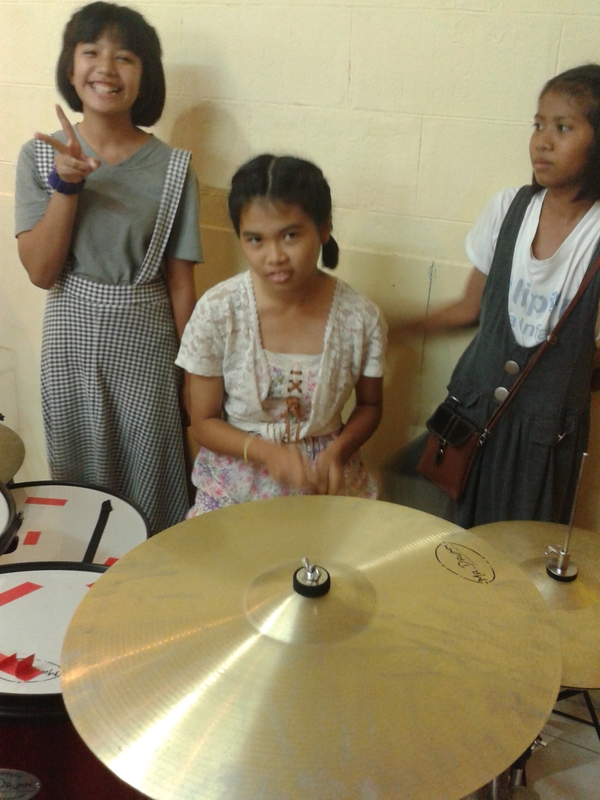 We were all really excited to meet Bui and Phu. 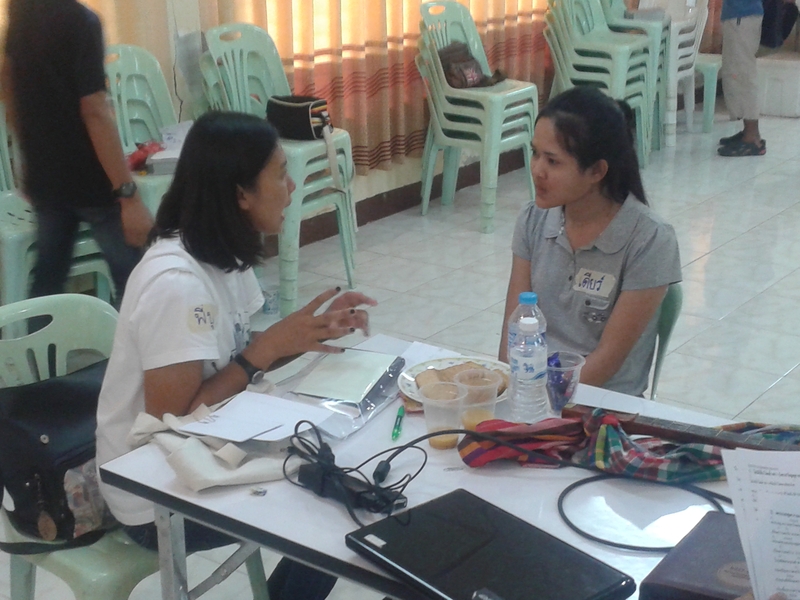 Left: Phu (one of our guest speakers) speaking with Dear, one of our university girls, about how to get started in ministry. 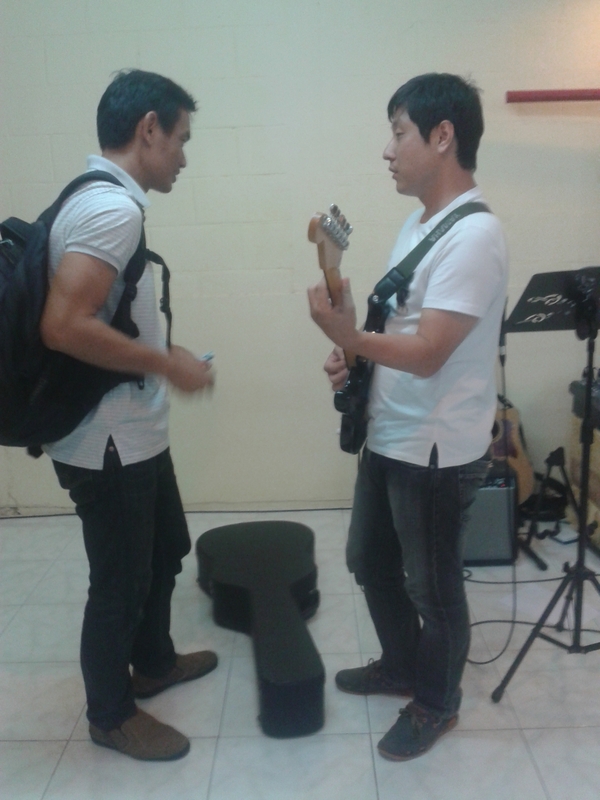 The photo on the right is Bui, our guest speaker talking with Jay (holding the guitar) a missionary form Korea and a member of our church. 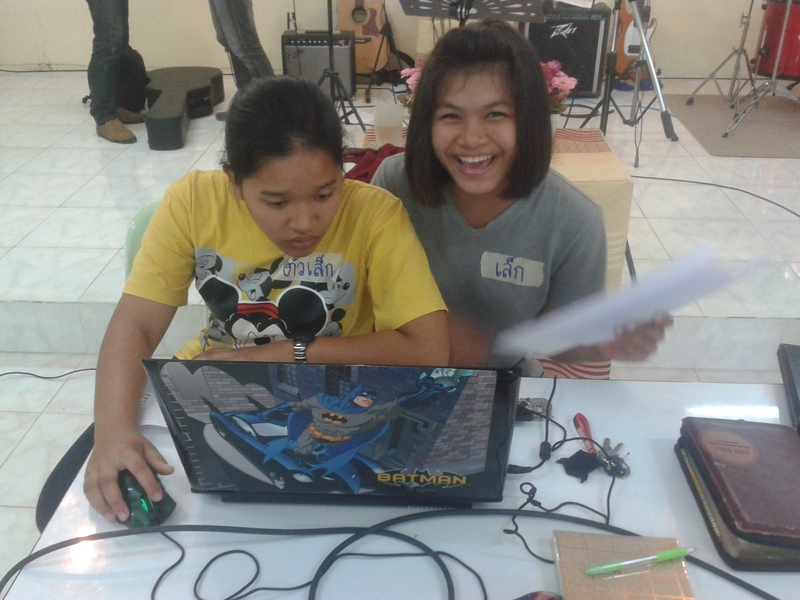 Tualek and Lek doing the powerpoint for the songs for sunday worship. Yes, that is my laptop, and yes, Batman is my favourite superhero. 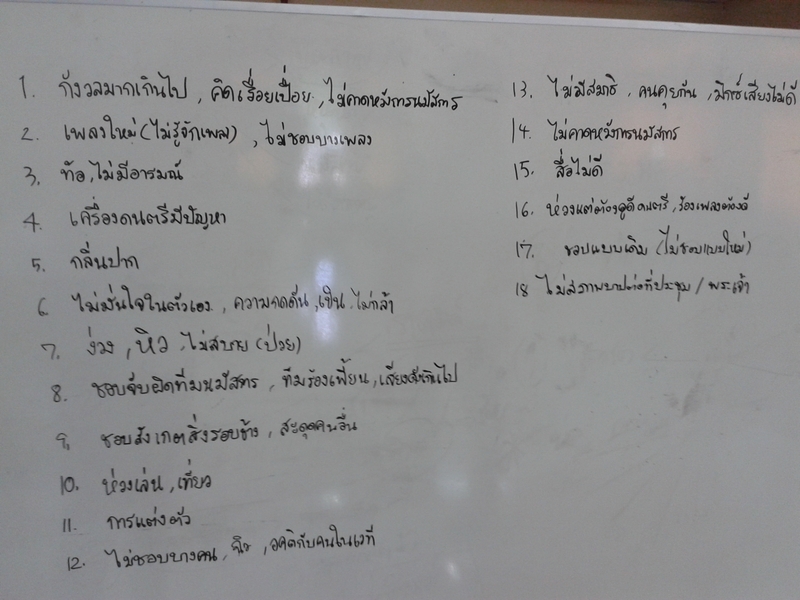 The photo on the right is a list of “reasons we find it difficult to worship.” Our worship team brainstormed together and came up with this list of things which get in the way of us worshipping God. Then we talked about how we could overcome them! 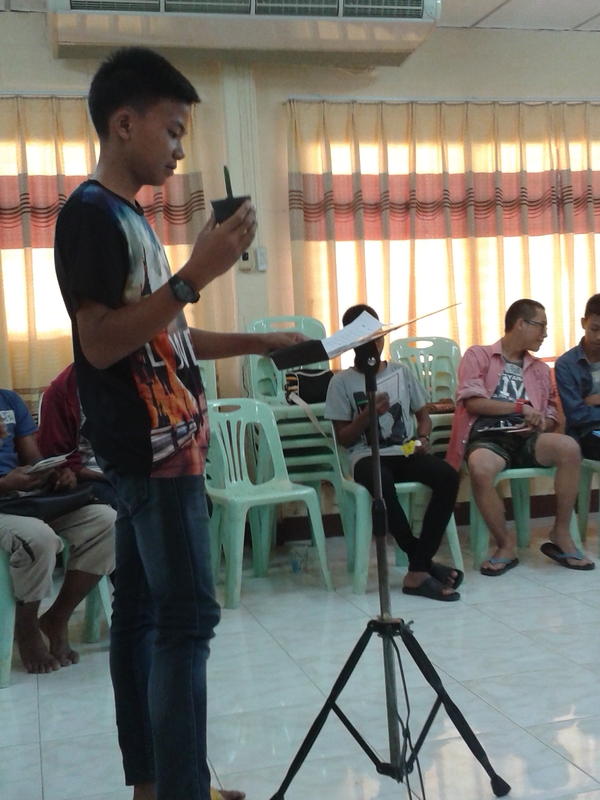 Game (one of our boys, and a new member of the worship team) shares his thoughts with the group. 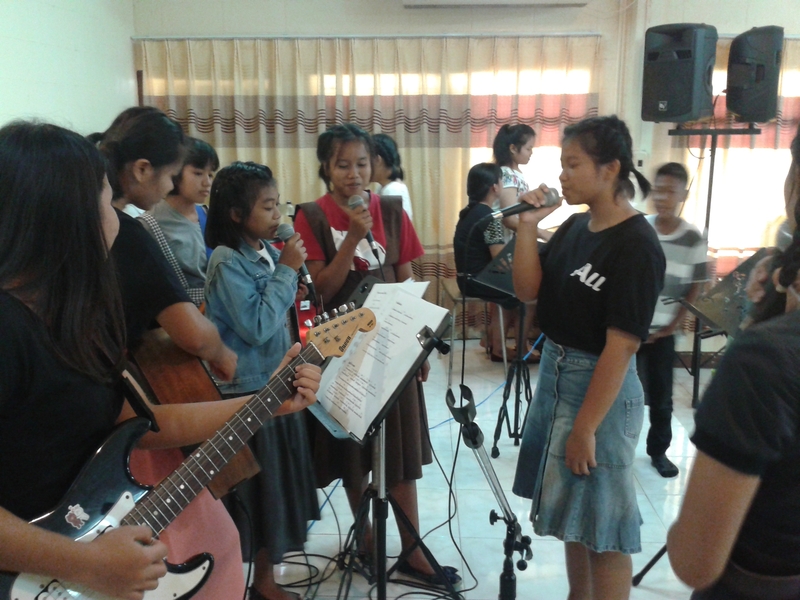 The picture on the right shows Bui giving his testimony- his first Christian church experience- a room full of middle aged ladies with no music or singing and no musical instruments (back then they were very hard to find). It was great to hear how he writes his music, and how God is using him, and can use us too! Thanks for your prayers and support! We have had a great start to the year and Lily and I are really enjoying bringing up these amazing girls… We know God has big plans for them.. please pray for us as we help them grow in their walk with God.